African-American Home School Movement - The number of African-American homeschoolers is on the rise. This article provides information about the African-American homeschool movement. African-American Homeschooling Resources - Here's where you can find ideas and recommended resources for teaching children about black history and culture in a home school environment. Carschooling - Home education doesn't have to take place at home. This article suggests ideas and resources that will help you home school on the road. Chat with Terrie Bittner - In the summer of 2008, I was honored to interview veteran homeschooler and author, Terrie Bittner. Here is Terrie's advice for successful homeschooling, along with her tips for teaching gifted and special needs children. Homeschool Encouragement - Do you feel overwhelmed, frustrated or discouraged? This article contains words of encouragement to help you along your journey. Homeschool Games - Are you stuck in a rut? Are your kids tired of boring drills and review? This article contains ideas about using homeschool games to make learning fun. 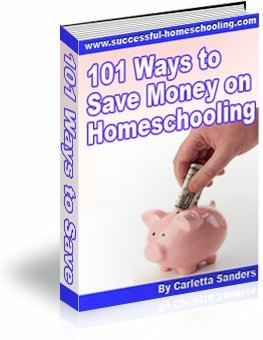 Homeschool Ideas - Are you searching for activities that will make learning fun for your children? Here are some homeschool ideas that will entertain the entire family. Homeschool Math Woes? - Is teaching math bringing you down? Check out my interview with Math Mammoth creator, Maria Miller, in which she shares her expert opinion on homeschool math instruction. Homeschooling Dads - In the hustle and bustle of homeschooling, it is easy to place one's spouse on the back burner. Here are some tips for strengthening your marriage and honoring homeschool dads. Homeschooling an Only Child - You don't need to have a large family in order to successfully homeschool. Here are some ways to address the challenges of homeschooling only one. Jewish Homeschooling - Find out why Jewish families choose to homeschool, learn how to take a holistic approach to Jewish education, follow links to recommended resources, and find avenues for Jewish homeschooling support. Secular Homeschooling - Some homeschoolers choose to home school for reasons other than religion, and don't want religion to play a major role in their children's education. Here's a look at the challenges of secular homeschooling, along with suggestions for overcoming them. Sibling Rivalry - When brothers and sisters spend a great deal of time together, conflicts will inevitably arise. This article provides suggestions for overcoming sibling rivalry and promoting friendship between brothers and sisters. This site is updated regularly. Please visit again to read more homeschooling articles!